Select a color for this option. 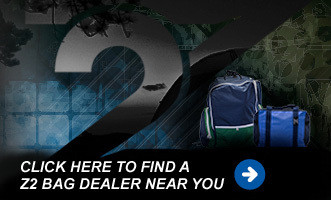 When you submit this form, an email will be sent to the Dealer selected, Z2Bags and a confirmation will be sent to your email address. Submitting this form is not an order. Please work with your selected Dealer to submit your order. zipcode is a required field and must be valid. -Select State- Alabama Alaska Arizona Arkansas California Colorado Connecticut Delaware District Of Columbia Florida Georgia Hawaii Idaho Illinois Indiana Iowa Kansas Kentucky Louisiana Maine Maryland Massachusetts Michigan Minnesota Mississippi Missouri Montana Nebraska Nevada New Hampshire New Jersey New Mexico New York North Carolina North Dakota Ohio Oklahoma Oregon Pennsylvania Rhode Island South Carolina South Dakota Tennessee Texas Utah Vermont Virginia Washington West Virginia Wisconsin Wyoming state is a required field. email is a required field and must be valid email format. *By submitting a custom bag, you acknowledge that this is not submitting an order.Please read and check the box to continue.